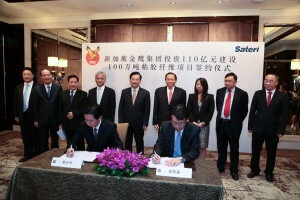 Hukou Jiangxi County Magistrate Li Xiao Ping (left) and RGE President Tey Wei Lin (right), signing the agreement. Sateri, a business group of RGE, has signed an agreement to expand its Viscose Staple Fibre (VSF) operations up to 1 million annual metric tonnes in Jiangxi, China. 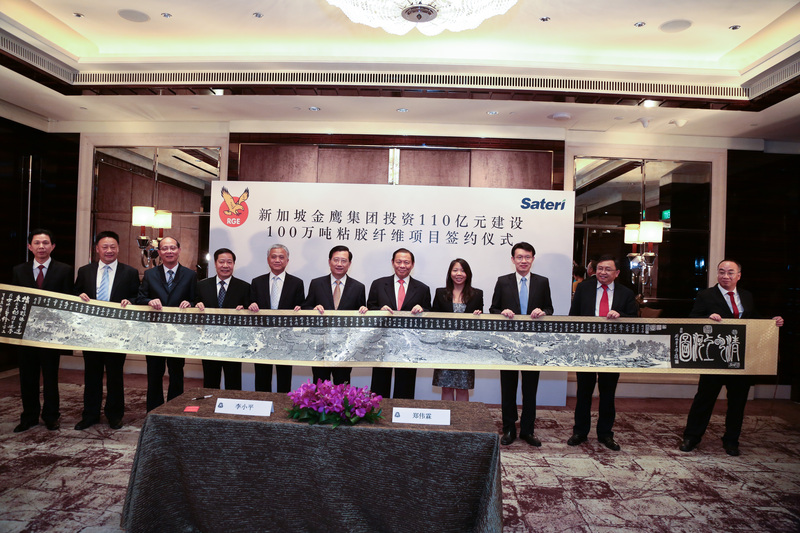 Including its existing operations, Sateri’s total investment in Jiangxi will surpass RMB 11 billion (USD 1.8 billion) when the expansion is fully implemented over four phases. 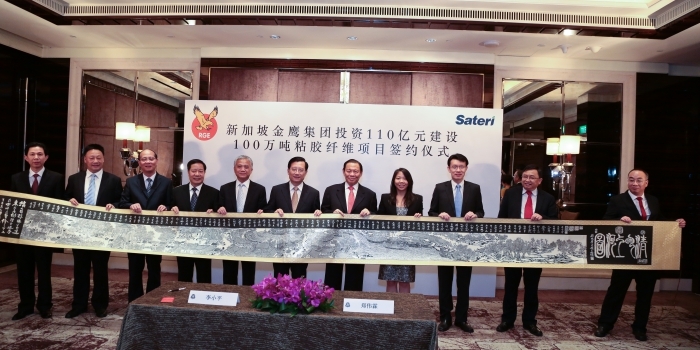 Combined with its 200,000 annual metric tonnes VSF plant in Fujian, Sateri is poised to be the world’s top VSF manufacturer. 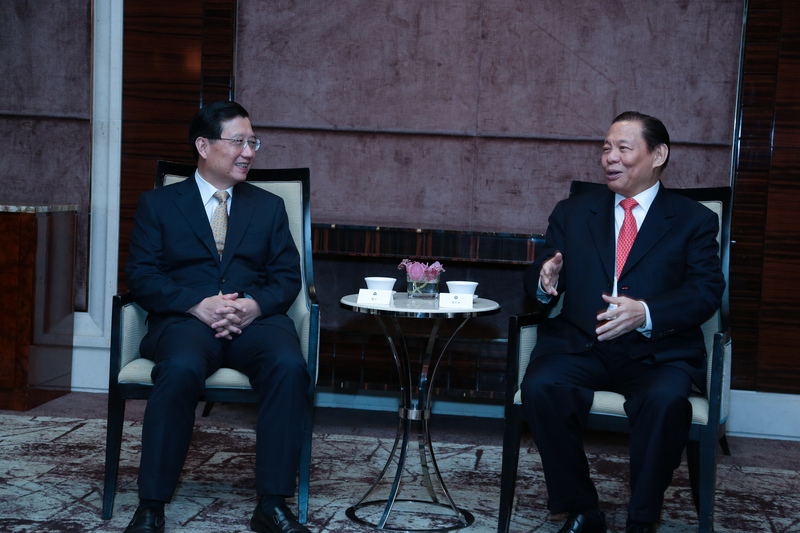 The agreement was signed between RGE President, Tey Wei Lin, and County Magistrate of Hukou Jiangxi, Li Xiao Ping. 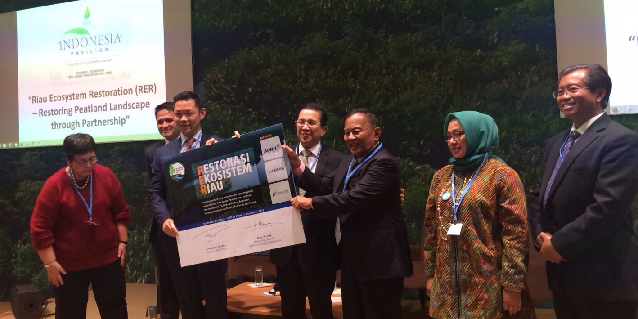 The signing ceremony was held in Singapore on 17 June 2015, and witnessed by Party Secretary of Jiangxi Province Qiang Wei, Party Secretary of Jiujiang City Yin Mei Gen, and RGE Chairman Sukanto Tanoto. RGE Chairman Sukanto Tanoto (right) chats with Party Secretary of Jiangxi Province Qiang Wei. In 2002, then-provincial party secretary of Jiangxi Meng Jianzhu and governor Huang Zhiquan kindly invited me to establish operations in Jiujiang. This wasn’t the only offer Sateri was given at that time. We were pursued by other cities including Suzhou along with a number of favourable policies and support. 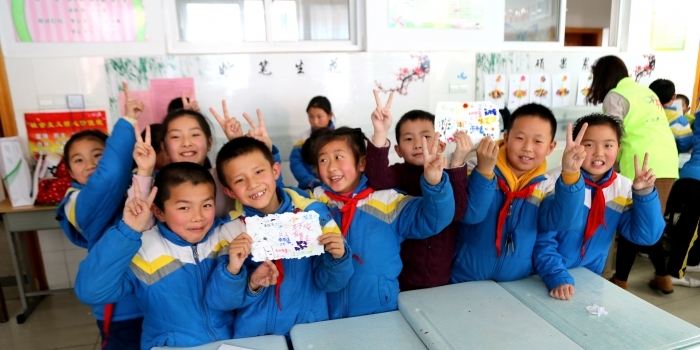 Nevertheless, we were very impressed by the warmth and sincerity of the Jiangxi provincial leadership. We eventually decided to locate our business in Jiujiang City of Jiangxi Province….